HMAS Ballarat along with the Royal Canadian Navy ships HMCS Ottawa and Winnipeg conduct Officer of the Watch manoeuvres during HMAS Ballarat's South East Asia Deployment. The Royal Australian Navy will upgrade its naval navigation and tactical software system to enhance the conduct of its warfare capabilities. 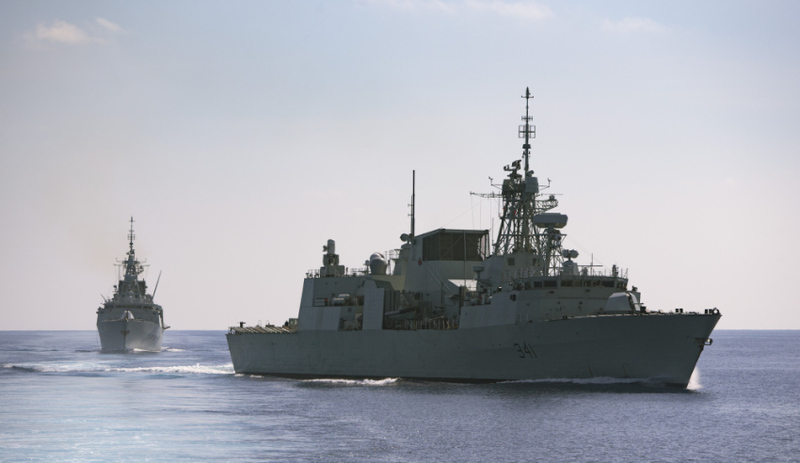 Canadian company OSI Maritime Systems announced the RAN, along with the Canadian Royal Navy, Royal New Zealand Navy, Royal Danish Navy, Royal Netherlands Navy and the Portuguese Navy, will upgrade to its ECPINS Warship 6.2. Ken Kirkpatrick, president and chief executive of OSI, said, “OSI’s customer base continues to benefit from ECPINS as their chosen warship navigation and tactical software application. "There is clearly value in operating with the most widely used Warship ECDIS that is compliant to NATO and international maritime standards, and independently certified against STANAG 4564." STANAG 4564 is an agreement that defines a standard for WECDIS in order to ensure that all systems fitted on warships from NATO nations will provide a minimum common set of functions to the operator and accept digital data in common NATO standard formats. OSI said it has also received Marine Equipment Directive (MED) Type Approval certification from DNV GL for ECPINS against new International Hydrographic Organization (IHO) and International Electrotechnical Commission (IEC) standards for ECDIS. These international maritime standards are also required to be met under the NATO WECDIS STANAG 4564. OSI currently has 20 naval customers from around the world with over 600 warships and submarines operating with its world-leading integrated navigation and tactical solutions. Frontline Manufacturing achieves ISO certification... - 4 hours ago.